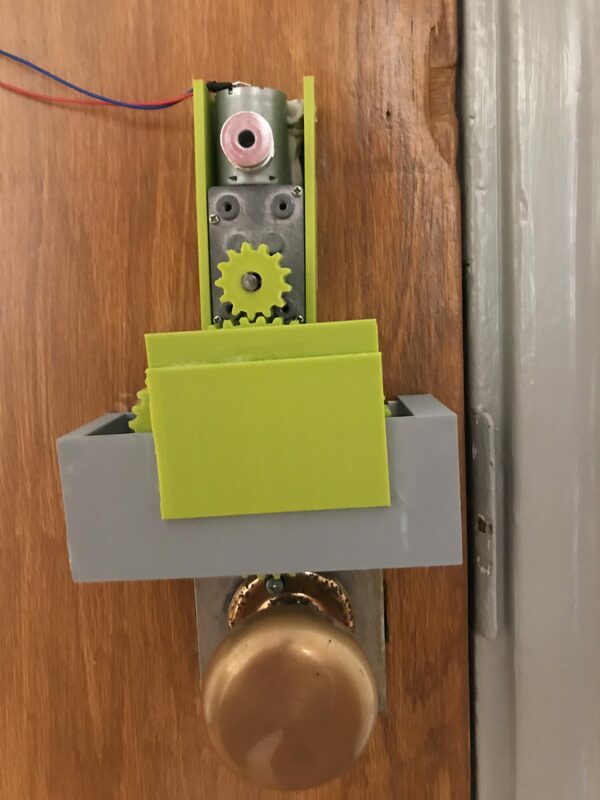 Whether it’s strung on a keychain, tied to a hair band, or tucked away in a wallet, students across Duke’s West Campus typically access their dorm room via key. Sophomores, Benjamin Lawrence and Samuel Appiah-Kubi, however…..don’t! They use facial recognition! 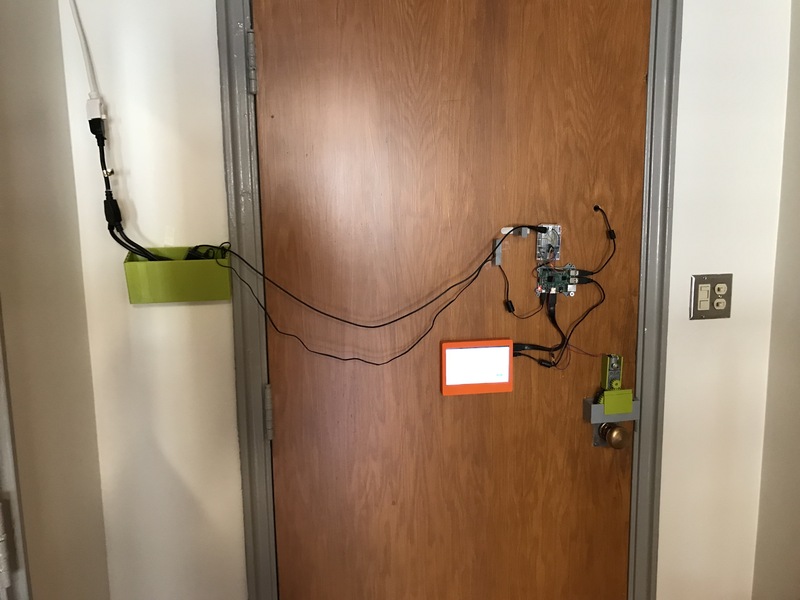 Originally, the roommates designed and fabricated an electronic lock that used a combination of “knocks” to lock and unlock the door. But quickly after, they challenged themselves to upgrade the lock to use facial recognition. 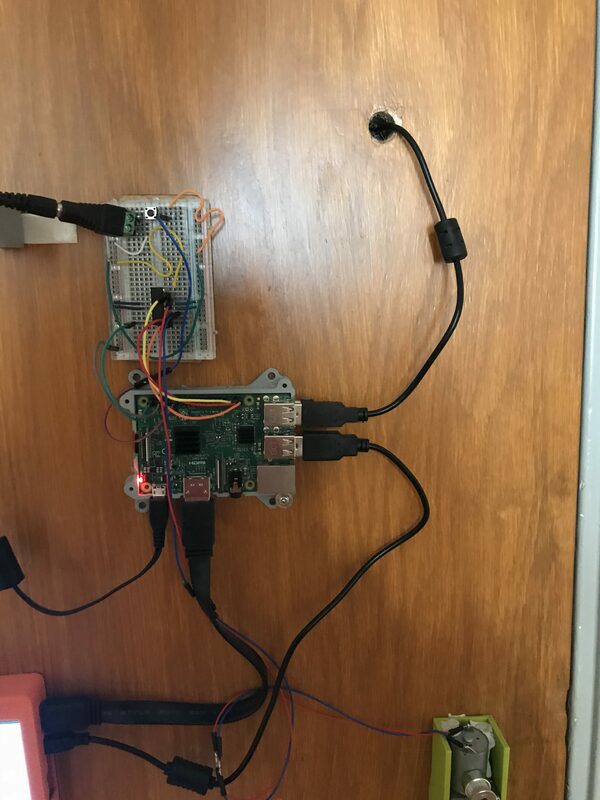 The goal of the project was less about the security aspect and more about creating an easier and hassle-free way of getting in and out of their dorm room. With facial recognition, the boys no longer needed to worry about always having their keys on hand. With 3D printing, prototyping resources and electrical materials readily available, Benjamin and Samuel were able to explore the immense customizability of designing and printing their own parts. This was advantageous in allowing them to successfully combine components of the project with flexibility. All of the mechanical components, including the gears camera case, cords case and wall attachments, were printed at the Co-lab. Furthermore, many of the electrical components, including the wires, breadboard, and solder, were obtained from and assembled at the Co-lab. “Being able to creatively design and collaborate custom parts at the Co-lab was what made the project possible” notes Benjamin. Benjamin explains that the biggest setback to the project was trying to correctly attach the motor to the lock already implanted to the door. In order to avoid tampering of the original lock, a special gear was needed to fit around it. Originally, the plan was to design the lock in such a way that if the power went out or a piece malfunctioned, then a manual key could still be used as backup. However, due to the mechanisms of the original lock, this implementation was not possible. 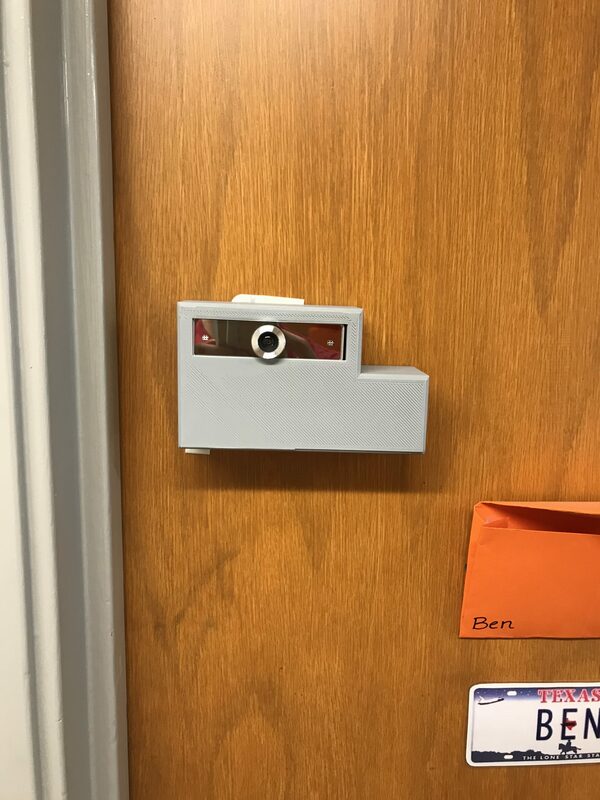 Instead, a manual fail safe was added; if something happens to go wrong, the camera can easily be removed from the front of the door, causing the electrical mechanism to temporarily detach. From there, a manual key can be used as desired and once unlocked, the camera is attached back to the outside of the door. Benjamin and Samuel were able to finish the facial recognition software relatively quickly at the start of the prototyping process. However, after spending majority of their time on the gears, the boys needed to adjust their program to work with the new hardware. With a fair amount of tweaking and tinkering, all the pieces were able to correctly work together, which was without a doubt, the greatest milestone to their project. This entry was posted on Thursday, March 22nd, 2018 at 6:13 pm	and is filed under News. You can follow any responses to this entry through the RSS 2.0 feed. Both comments and pings are currently closed. ← 3D Printing at the Ruby!